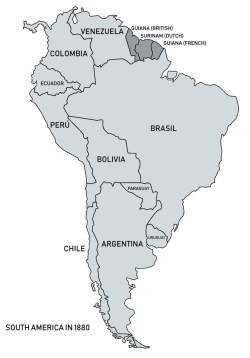 South America is the southern part of the American continent. 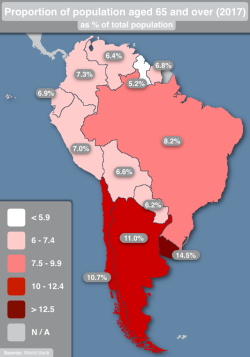 Percentage of adult population considered to be obese in South America. 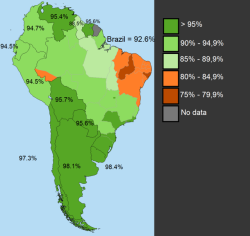 Percent Afro-descendant by South American country. 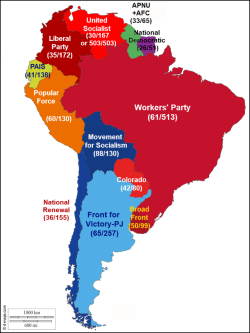 Largest parties in the lower houses of South American parliaments. 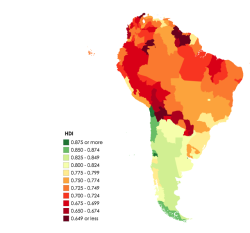 Artificial sky brightness of South America. 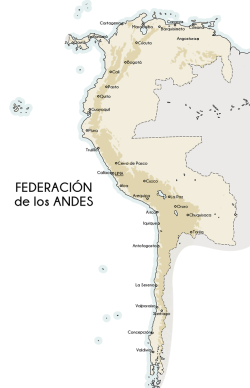 SimÃ³n BolÃ­var's dream: the Federation of the Andes. 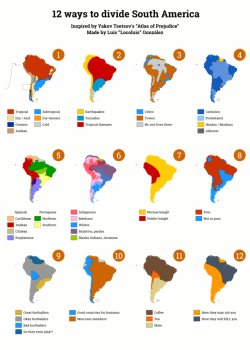 Google Brazil: "[Country] is ... " in South America. 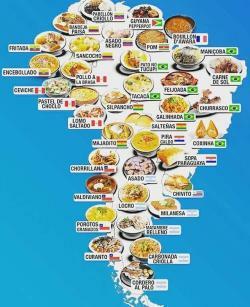 Typical dishes of South America. 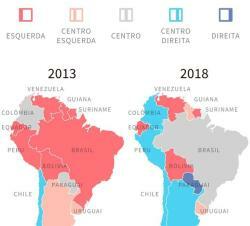 Political change in South America, 2013-2018. 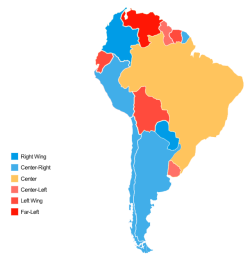 South American Countries by Political Ideology of Leader's party. 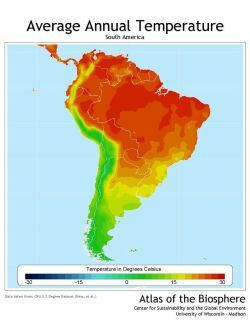 South America: Average Annual Temperature. 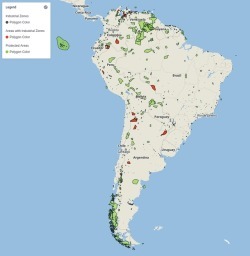 Where Industries violate the Conservation Areas in South America. 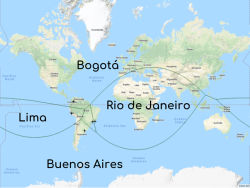 Coast to coast railroad line across South America. 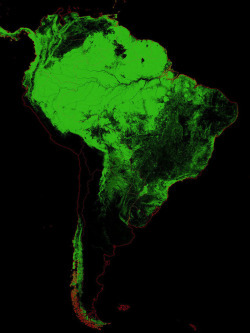 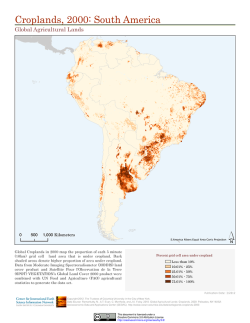 Forest Cover Map of South America. 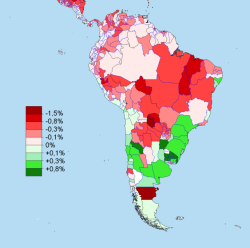 Sub-national entities of South America by Human Development Index. 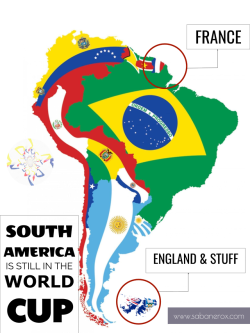 Who said South America was off the FIFA World Cup? 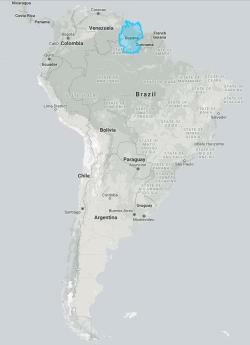 Nearest Major City in South America. 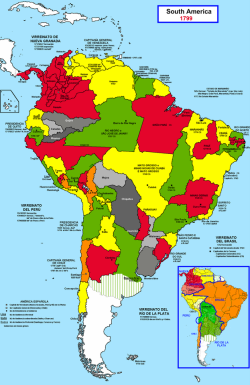 Switching Borders: Africa and South America. 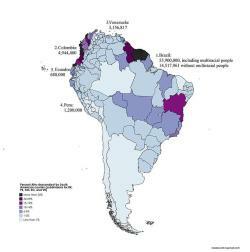 Proportion of population aged 65 and over in South America. 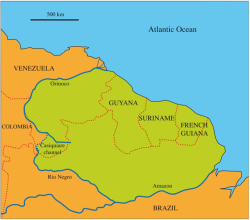 Germany compared to Guyana (and South America). 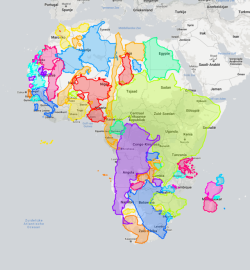 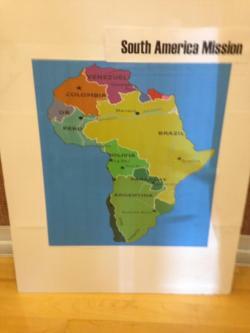 Europe and South America fit into Africa. 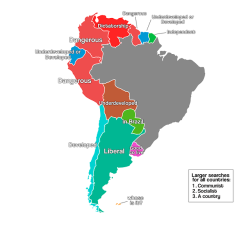 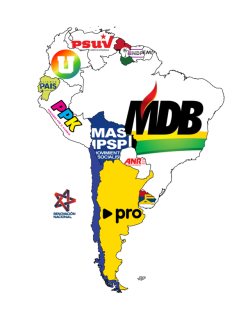 Political Parties of South American Presidents. 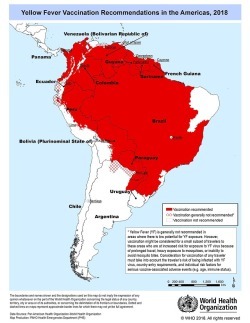 Yellow Fever Vaccination Recommendations in South America, 2018. 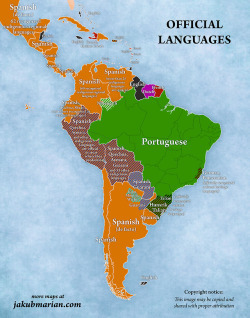 Official Languages of South America. 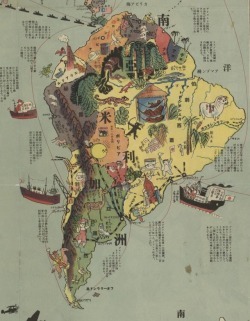 1932 Japanese Pictorial Map of South America. 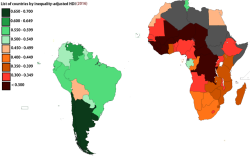 South American and African countries by inequality-adjusted HDI, 2016. 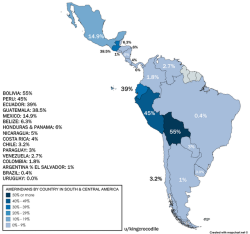 Amerindians by country in South & Central America. 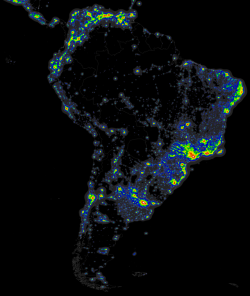 Light pollution in South America. 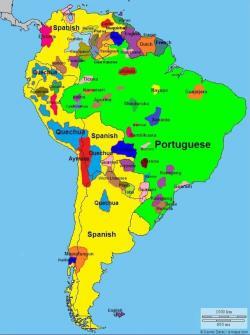 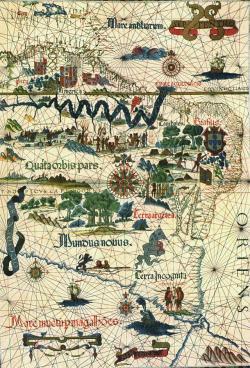 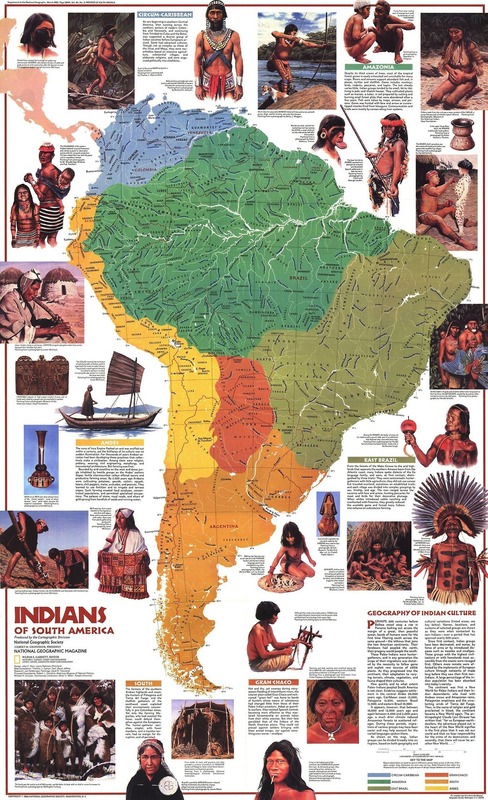 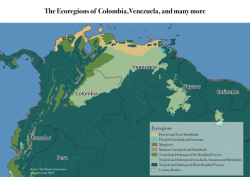 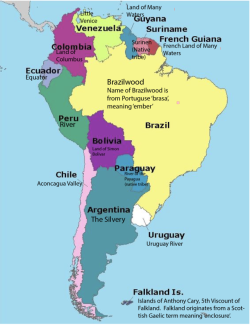 An Etymological Map of South America. 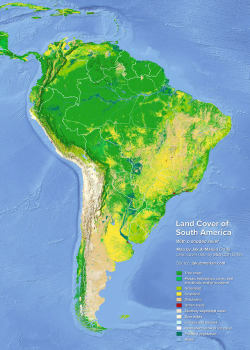 Land Cover Map of South America. 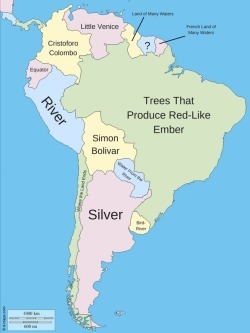 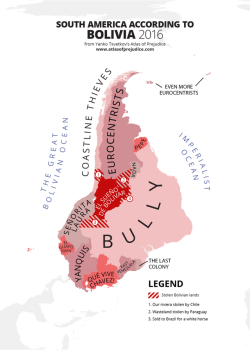 South America according to Bolivia, 2016. 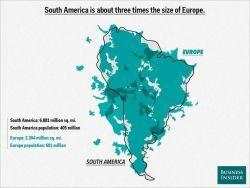 South America is about three times the size of Europe. 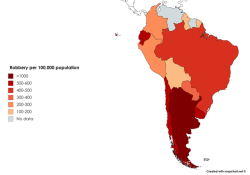 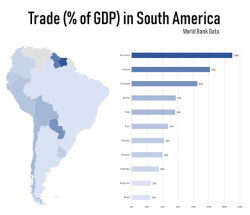 South American countries by robbery rate per 100,000 population, 2015. 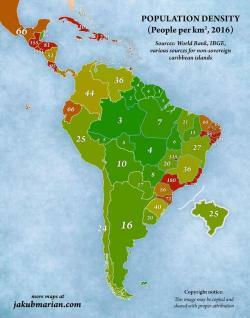 Population density in South and Central America. 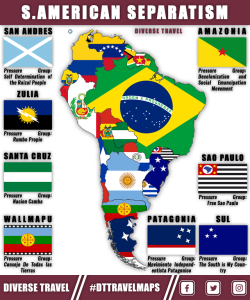 Afro descendants in South America. 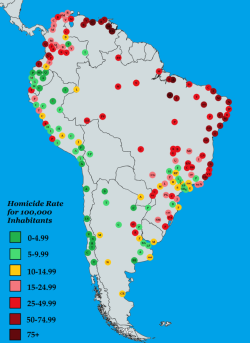 Homicide Rates by city in South America, 2016. 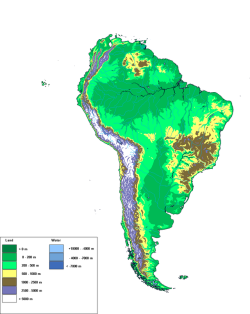 Forest cover change in South America in 2015, by region. 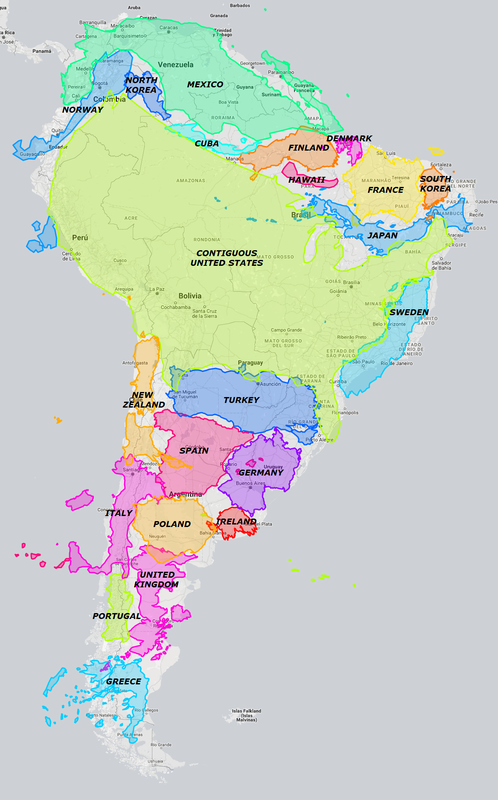 The true size of South America. 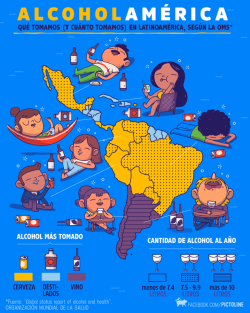 Alcohol consumption in South America. 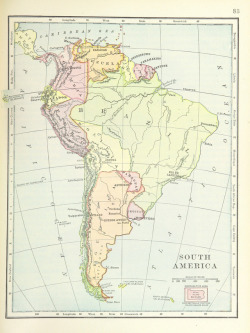 Provincial map of South America in 1799. 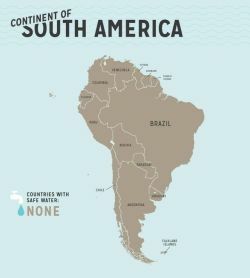 Countries in South America where the tap water is guaranteed to be drinkable according to CDC data.